This product is for purchase by students and teachers only. You will be asked to verify your eligibility for the student/teacher price after purchase. You must obtain a serial number by submitting proof of academic eligibility to Nuance. 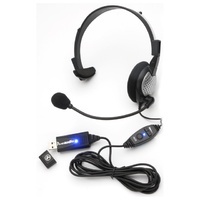 Comes with a high-quality analogue headset microphone. 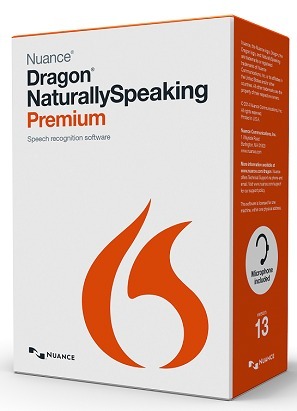 Dragon NaturallySpeaking 13 speech recognition software lets you get more done every day on your computerquickly and accuratelyusing your voice. Its the fun, easy way to turn your spoken words into text much faster than you can type and execute simple voice commands for big productivity gains. 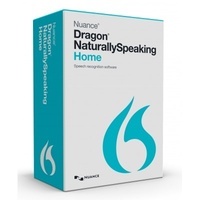 Dragon makes it easy to get started with speech recognition and to become proficient quickly with regular use. Its also simple to explore more advanced features that can boost your productivity even further. Dragon eliminates barriers to productivity and creativity by letting you interact with your computer by voice. It turns your spoken thoughts into text and your voice commands into action so you dont have to worry about the mechanics of typing and spelling. Dragon not only lets you dictate up to three times faster than typing, but it also allows you to select text, make edits and apply formatting using your voice to make easy work of document creation. You can select text and apply formatting such as bold, underline, capitals and more, or just speak to make needed changes. Smart Format Rules automatically adapt to how you want abbreviations, numbers and more to appear, so you dont have to correct them every time. - Any other Nuance approved microphone. See support.nuance.com/compatibility for more information. Record notes anywhere, anytime while they are still fresh in your mind to produce more detailed reports, papers, proposals, meeting minutes and more. Dragon Premium edition and up support a Nuance approved digital voice recorder for advanced recording functionality or the free Dragon Recorder app on your compatible iOS device. Dragon will automatically transcribe the audio files to text back at your PC. Dragon Premiums vocabulary editor makes it easy to personalise your vocabulary to include acronyms, proper names and other unique or business specific phrases that you frequently use for increased recognition accuracy and fewer corrections. In addition, the ability to import and export you custom word lists enables you to share with peers or co-workers who use the same unique terminology. 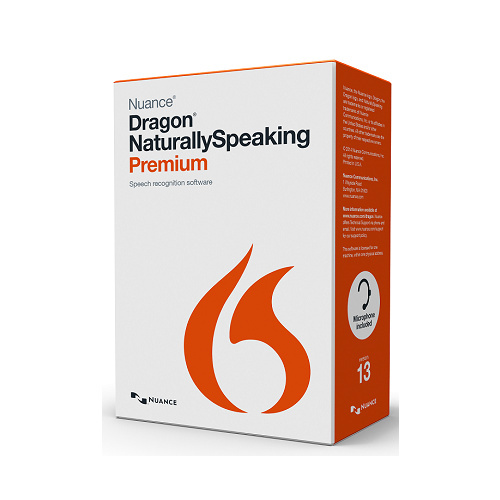 With Dragon Premium edition and up, its quick and simple to create custom voice commands to quickly insert frequently used text and graphics. This feature lets you insert email signatures, logos, graphics, boilerplate text and more just by speaking a simple command for significant time savings. Dragons text-to-speech capability is a natural sounding synthesised voice that reads designated text to you, thereby simplifying proofreading and supporting new levels of multi-tasking. With Dragon Premium edition and up, you can also listen to audio playback of your own dictation with the associated text highlighted on the screen. CPU: Minimum 2.2 GHz Intel dual core or equivalent AMD processor. Faster processors yield faster performance.